Welcome to Mayan Traveler. My name is Avelino Cach and I was born and raised in the Mayan culture. I have worked in the hospitality and tourist industry of Akumal for over 25 years and specialize in guiding you to the perfect Mayan Riviera vacation. I speak English, Spanish and Mayan fluently and enjoy introducing my friends from around the world to the culture I love so much. 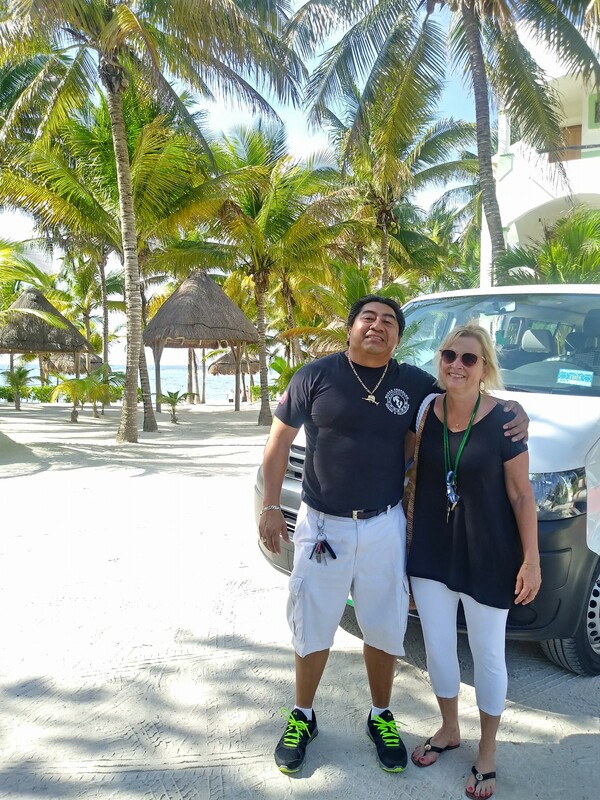 I am located in Akumal, Mexico and whether you are in need of airport pick up or drop off to Cancun, or have only a short time to plan the vacation of a lifetime, I delight in ensuring that your visit here is memorable. Over the years I have enjoyed introducing my guests to popular tourist attractions like the ruins of Chichen Itza, Tulum or Coba. However, many enjoy the more unique places like Uxmal and the Pu’uc route, or destinations off the tourist grid when visiting the ruins of the Yucatan Peninsula. Float down a river in the Sian Ka’an Biosphere, snorkel with the family on a Robinson Caruso adventure, or visit actual Mayan communities to share gifts with the local school children. The combination of my deep knowledge of the Mayan culture and working as a manager in the hospitality and service industries of Quintana Roo makes me the perfect tour organizer for the Mayan adventure of a lifetime. I am proud of my heritage and look forward to sharing it with you.